After years of conflict in South Sudan, Juliana Akwero moved to Juba with her husband and two children in June this year to find a new threat. A cholera outbreak was just beginning, a disease she was not familiar with. 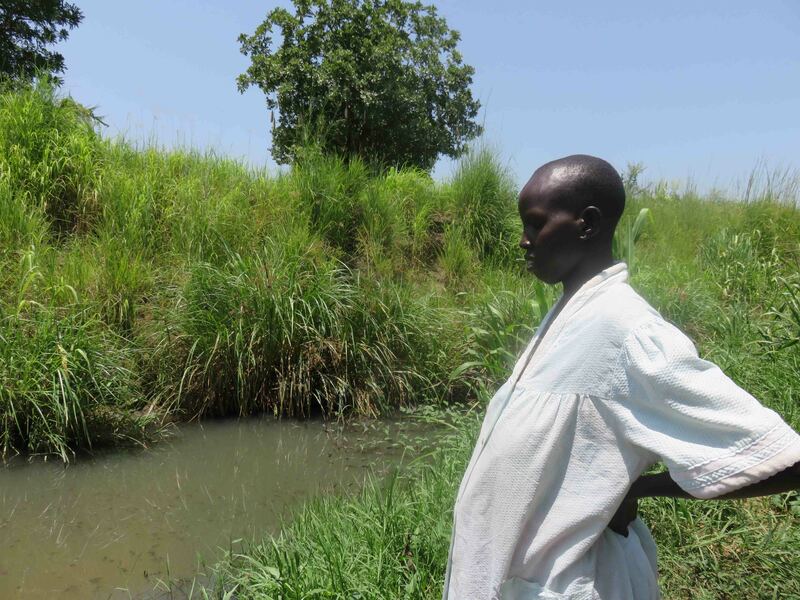 Since June 2015, South Sudan has been facing cholera outbreaks. 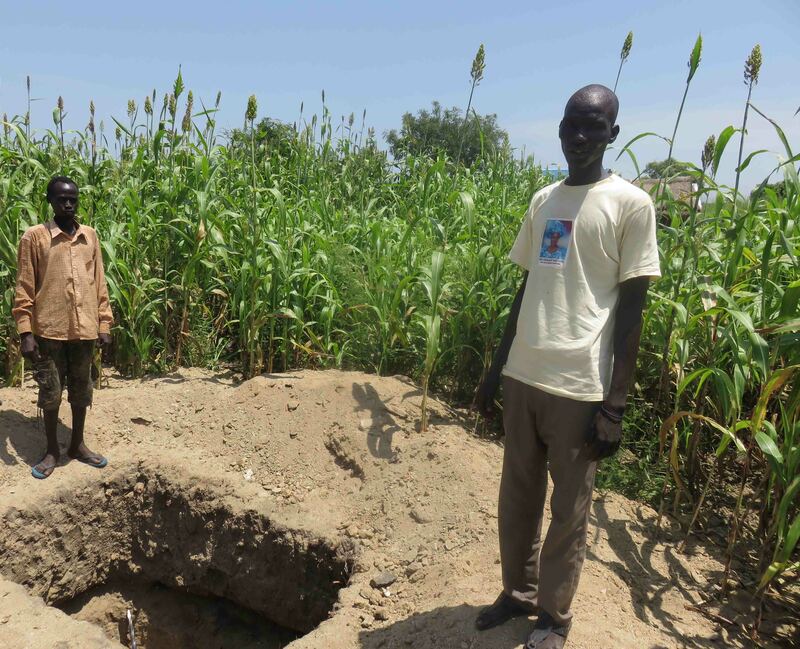 By 28th August, a total of 1,675 cases and 46 deaths had been reported with the majority of the cases in Juba and Bor. Children under age 5 make up 18% of all cases. When children in the neighborhood started falling sick, many thought it was malaria or flu. The first child became very ill at night. With no means of transport, Angelina and We walked with the sick child to the hospital, about an hour away on foot, where he was treated. Cholera spread in Angelina’s community after the death of the first child, and many children and adults were showing symptoms of the disease. Thanks to the treatment and care provided by the hospital they now knew it was cholera and wanted to stop its alarming quick spread before it claimed many more lives. 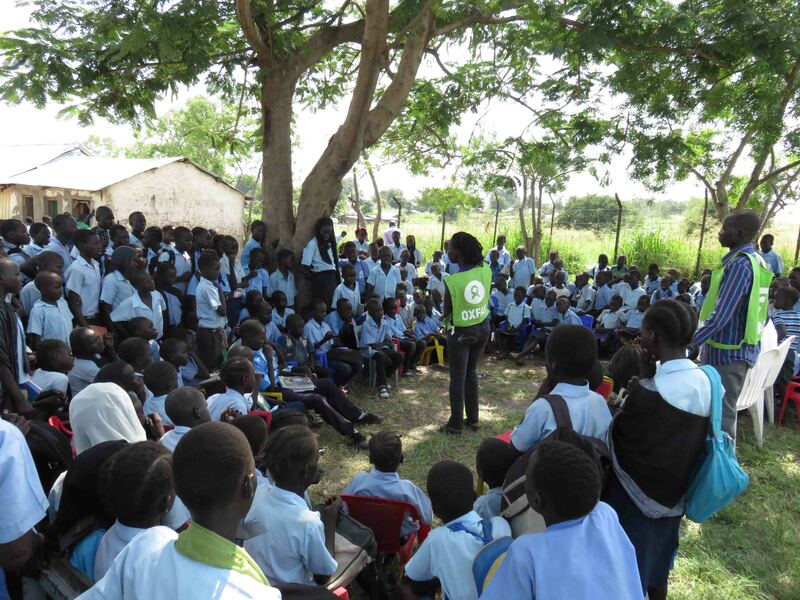 Oxfam volunteers engage school children on the importance of hygiene. Right on time, Oxfam public health promoters and engineers came to the village and held discussions on cholera with the community, and agreed on how to best help. One of the main issues discussed during the community sessions with Oxfam was the poor access to clean water and sanitation facilities and how to respond when someone gets cholera. “Our village is next to a stream, and that’s where many of us get our water” but like 2.4 billion people in the world, villagers did not have access to adequate sanitation. “When you walk along the river, you can see that people also use the banks as a toilet,” says Angelina. “The water is not clean but we have no choice but to use it. The water trucks do not come this far, and the boreholes are too far away. The closet one charges for water, but we can’t afford it." With our team hygiene promoters, we spread the word on good hygiene practices such as hand washing and the proper cleaning of water storage facilities in various parts of the city. We shared messages on Cholera prevention and treatment through house visits, drama and demonstrations at market places and hygiene sessions in schools. “Oxfam has come here many times to help us. They held a meeting where they shared information about cholera. Now I know how to prevent it, and how to react if someone falls sick again” says Juliana who now boils all water before use. “We talked about how to improve hygiene in our community, and why it is important for everyone to work together. Now we have new latrines, built with materials Oxfam provided, for people to use instead of the river. When I walk to the stream and see people collecting water, I pass on the knowledge I have so they don’t fall sick." Peter takes a pause from building an Oxfam latrine which will help prevent water contamination. With support from ECHO, we have reached over 74,000 people with Cholera prevention and treatment messaging and improved access to clean water and sanitation. In a small town in South Sudan, Oxfam has supported five fishing groups with capital and business training to set up cooperative models. The groups work together to find alternatives solutions to problems in their communities. They are using the Nile and its vast resource as common ground for dialogue and income generation. In South Sudan, peace seemed like a lost dream after conflict erupted in December 2013. But many are trying to keep hope alive.